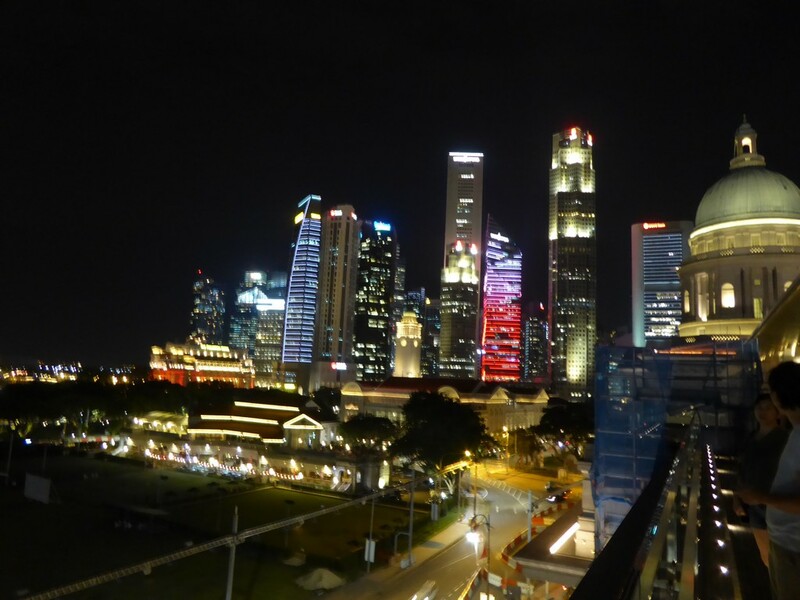 Documenting the world, one post at a time. 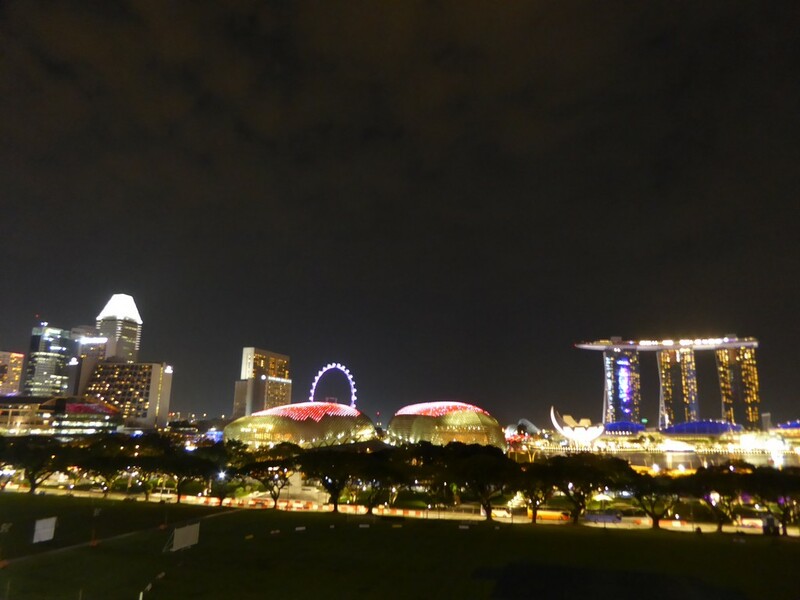 | 10 Users online now. 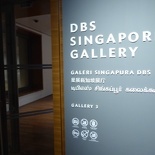 The National Gallery is Singapore premiere national gallery of visual art. 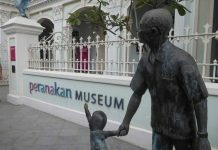 It distinguishes itself from the Singapore National museum (along Stamford Road) through a focus on housing and displaying mostly historical paintings and sculptures of Singapore and Southeast Asian origins, while the National Museum focuses mostly on mixed displays, as well as showcasing a large historical element of Singapore’s history and anthropology. 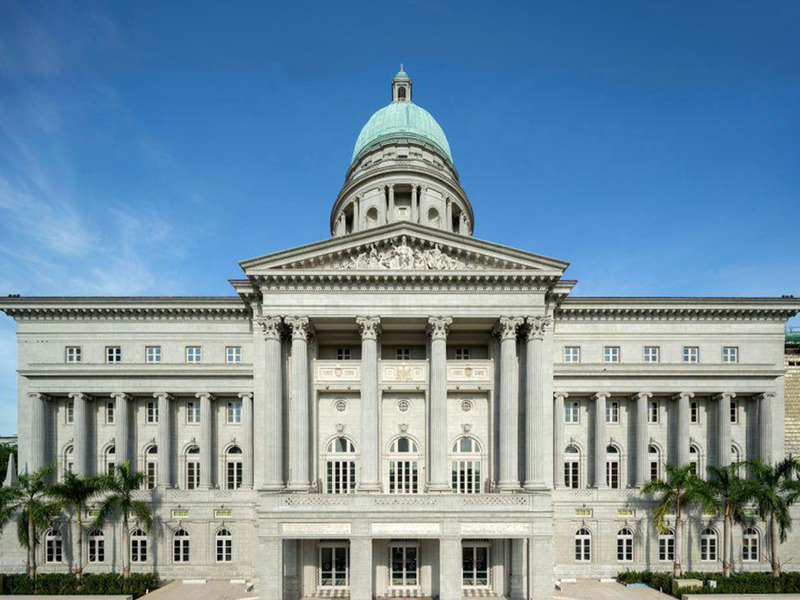 Opened on 24 November 2015, the National Gallery oversees the Singapore’s largest public collection of paintings and sculptures, comprising of over 8,000 artworks housed within a single venue. 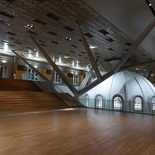 This large exhibition space was made possible through the merger of the old former Supreme Court Building and the City Hall into one, providing a combined floor area of 64,000 square meters. 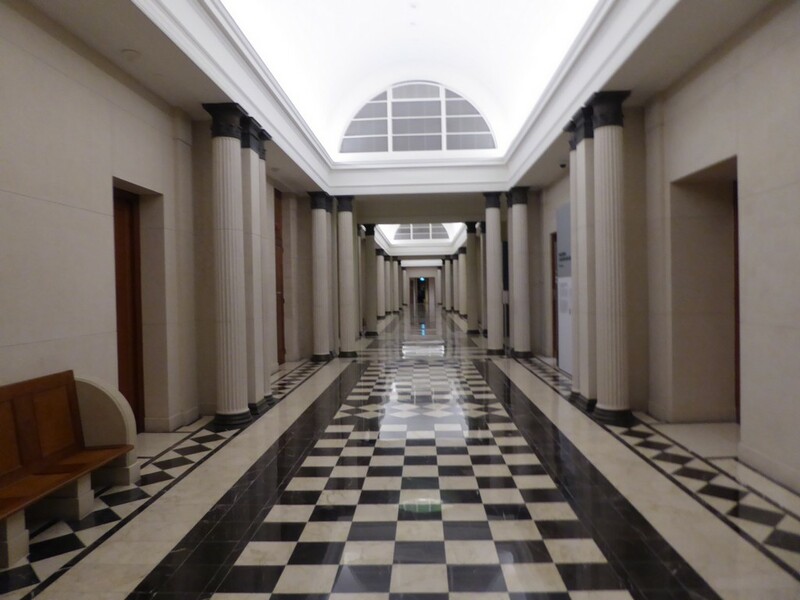 When it was renovated prior 2015, the upgrade was extensive, with about half a billion SGD spent into adding modern touches and most part of the building reworked, yet preserving the old front façade, stone and marble staircases. 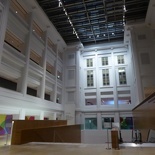 The two Singapore national monuments are now all completely laid with modern wooden flooring and are fully air-conditioned, including the cavernous central conjoining atrium (Padang atrium) between the two buildings. 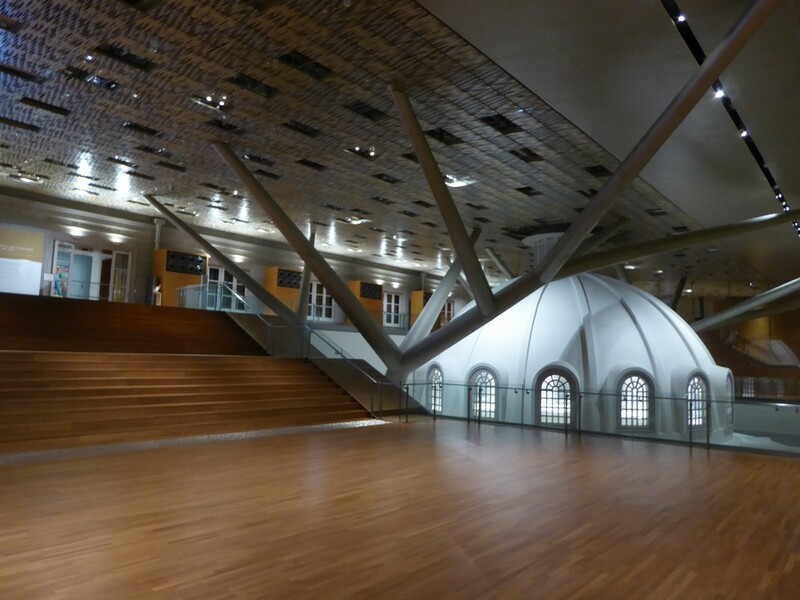 Part of the original Supreme Court dome structure also has a new weather-protecting roof built over it. 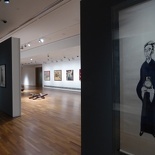 There are 5 main galleries, housing a mixture of South East Asian paintings, as well as Modern art galleries comprising of a mix of expressionist, static and audio-visual elements. 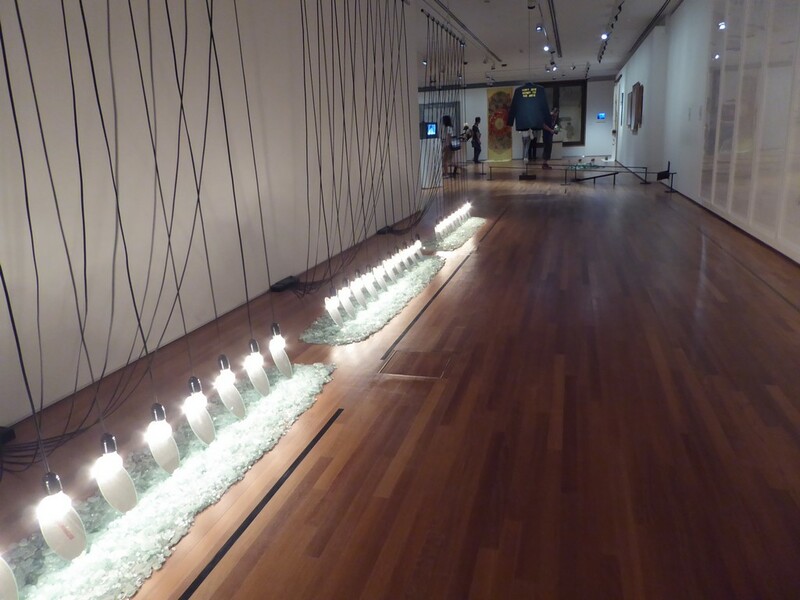 Each gallery is named after their sponsoring bodies, and physically spans over 7 floors (including a basement). 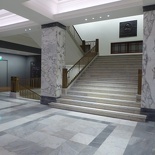 The museum building is accessible from 3 main entrances, east, west and north wings. 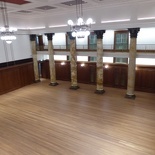 The ticketing counter sits at the center of the building at the basement connected via the both the west and east entrances with one end at from the Supreme Court foyer. 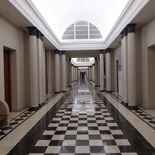 The Supreme Court side of the building has a central open shaft with circling walkways on every floor serving each of the galleries. 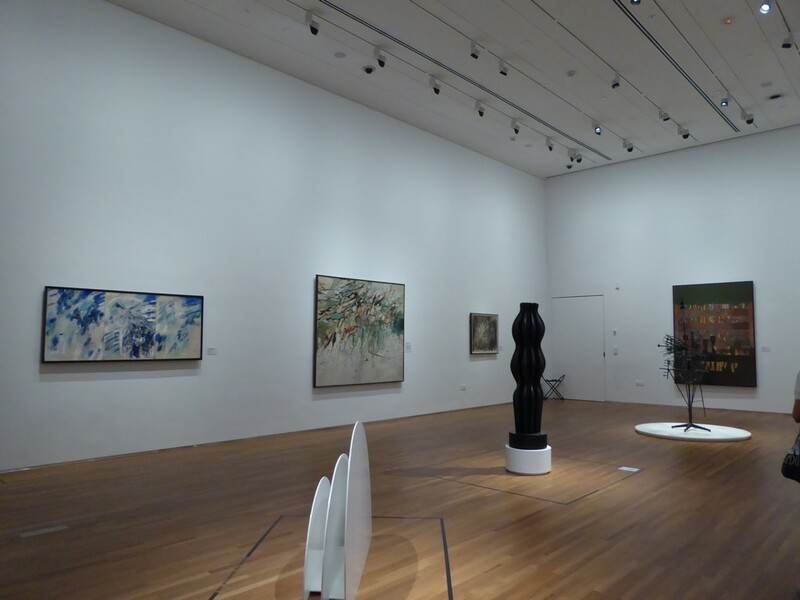 This gives the galleries a very open and airy feel with long hallways running alongside the large modern galleries within. 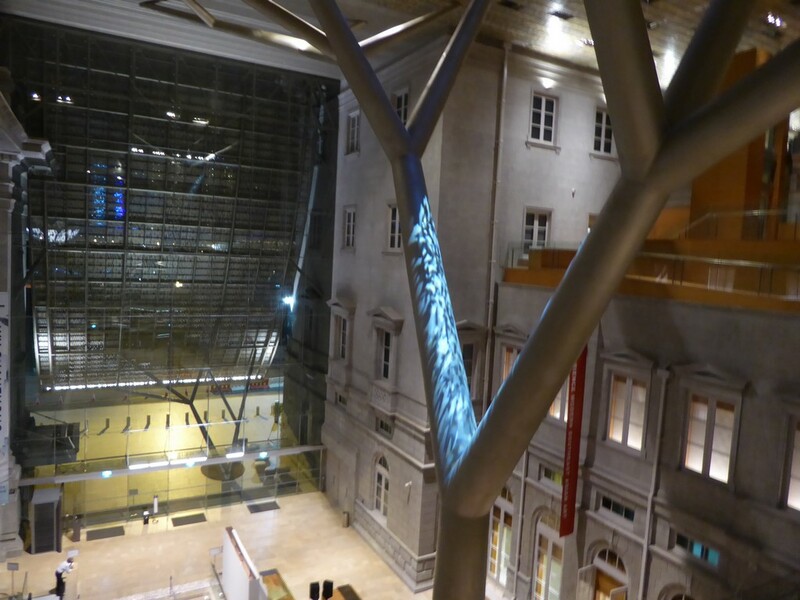 As the museum floors are staggered between the buildings, you will often find yourself criss-crossing 6 floors between the Supreme Court and the City Hall via link bridges. 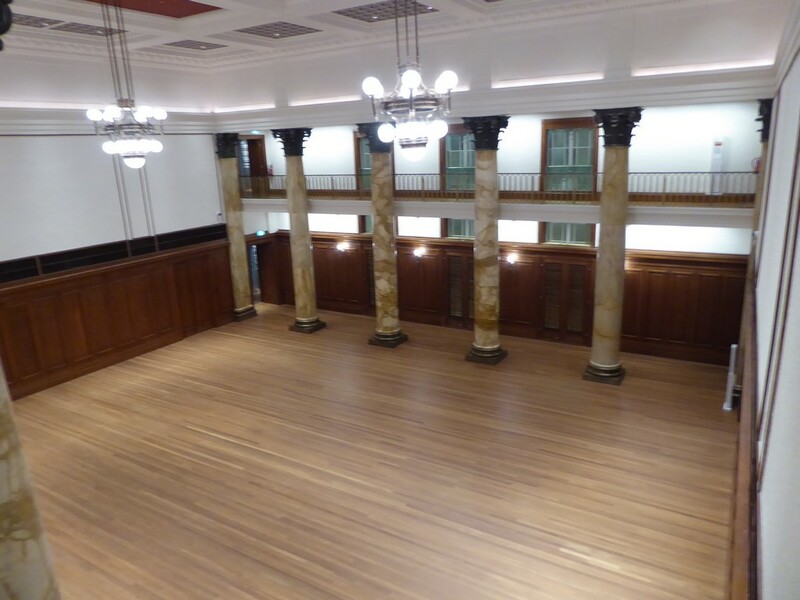 Interesting points of interest in the Supreme Court section includes a perfectly preserved colonial courtroom, restored with fully vanished wall and flooring redwood. 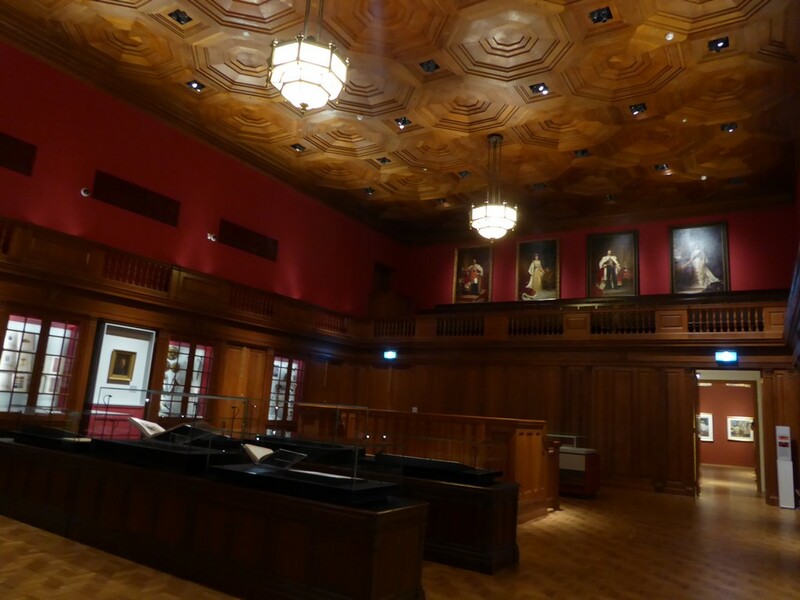 There is the City hall chamber, also painstakingly restored as a parliamentary chamber-into- art gallery now. 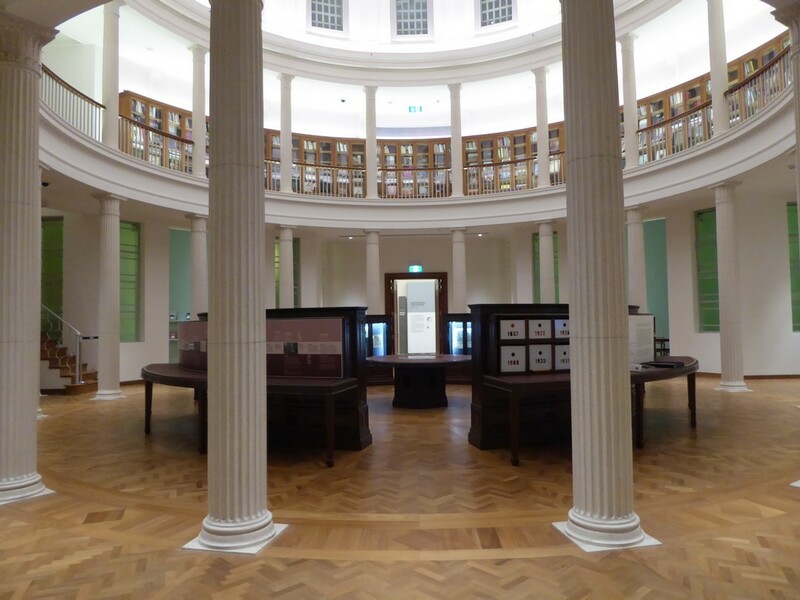 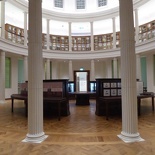 The gallery library is housed in a Rotunda dome which used to be the Supreme court library is now home to several books of art interests and document archives in relation to the South East Asian art on display. 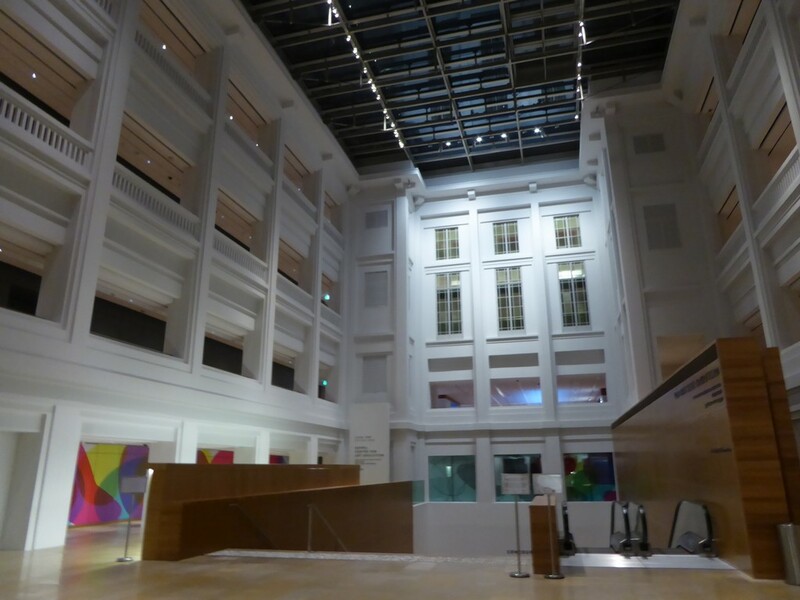 The Court terrace located at the top most floors offers open air-conditioned spare spaces perfect for large exhibits, especially travelling or temporary exhibitions in addition to the current permanent exhibitions on the lower floors. 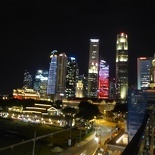 The terrace is also the access point to the Ng Teng Fong roof garden, home to a gallery bar, and the Padang deck offering panoramic views of overlooking the Padang, with the central business district to the right, Marina bay and the Marina bay sands in the distant background. 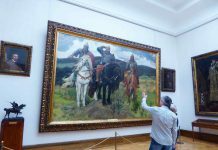 You get a large number of museum staff stationed at every gallery, who are really friendly and knowledgeable of the artwork in their gallery. 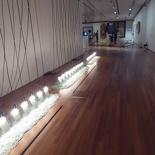 If you have any questions to the art pieces in the gallery you are in, do feel free to ask! 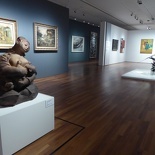 With a lack of items on display now, most of the permanent galleries have quite an eccentric mix of both East Asian and modern art in some galleries. 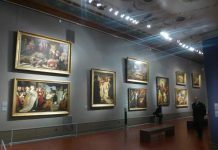 Most of the paintings are from the 19th Century era and commissioned artworks by distinguished statesmen and rich businessmen who can afford the artworks. 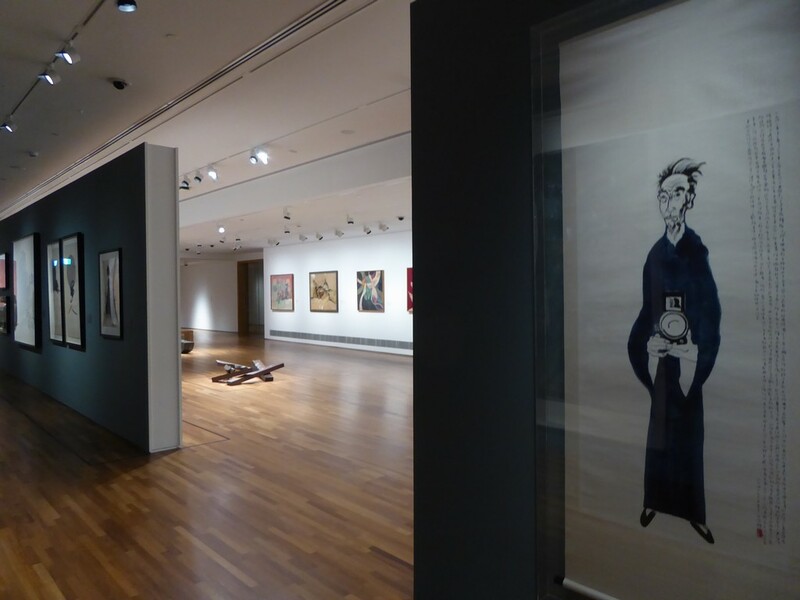 I found the East Asian art galleries worthy of a national gallery standard, though the emptiness of the walls do paint a stark reminder that unlike the European and American national galleries, Singapore does not have a long art history to begin with to fill the walls. 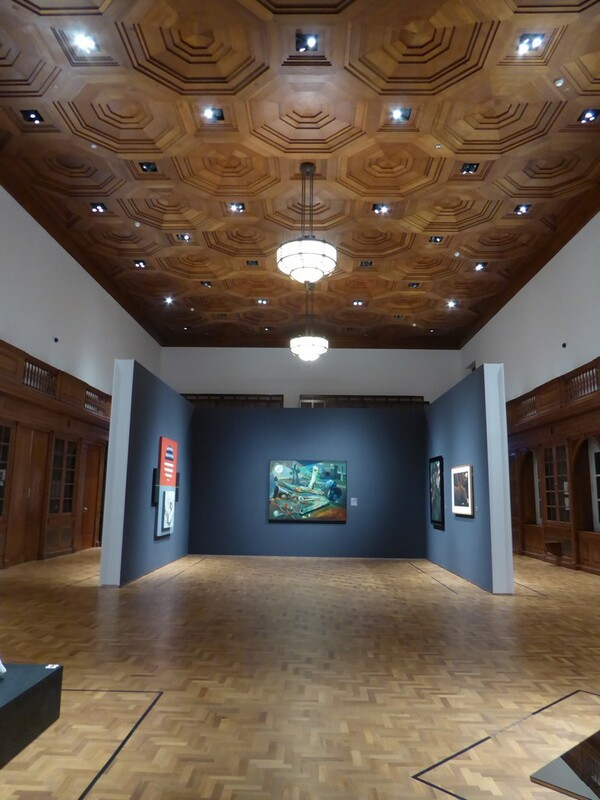 This gives the gallery plenty of spare capacity for future exhibit expansion and hosting temporary exhibitions. 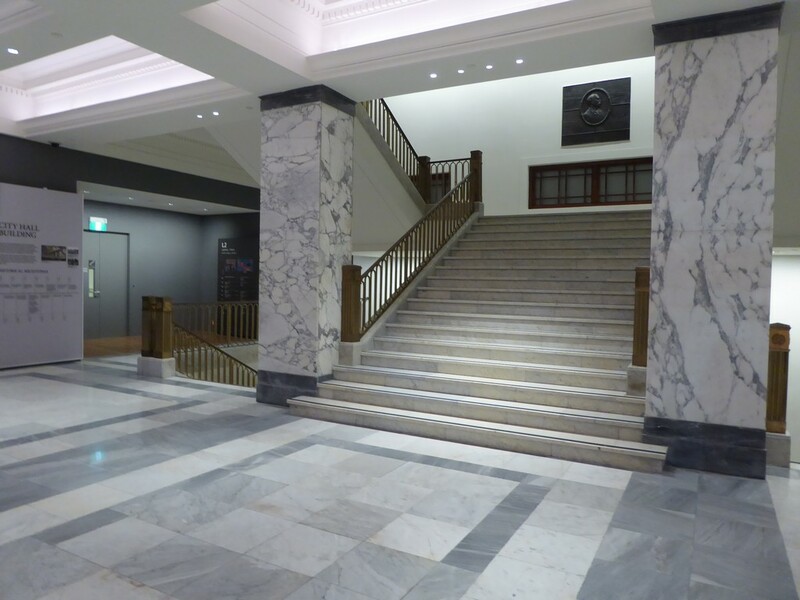 Some artworks can be seen displayed on the corridors outside of the galleries, often lining the walls of common corridors or staircases adding a nice touch to use up the negative space to fill up the emptiness in the building. 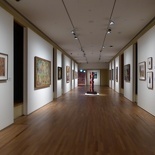 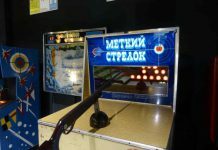 The galleries housing Modern audio and visual arts breaks away from the monotony of conventional art gallery through the use of elements encouraging visitors to interact with the artwork, such as aligning visitors visual point to make an image, watching a video, doing eye tricks or even playing with the exhibits. 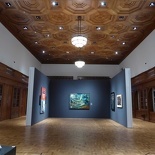 The galleries were swarmed by members of the public during its grand opening month. 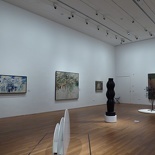 Now is the best time to visit the galleries- a couple of month after the grand opening, where the galleries are all largely empty throughout the day (except on weekends), allowing you to slowly browse through the exhibits at your own time in peace and quiet, where you can really catch the nuances in the artworks. 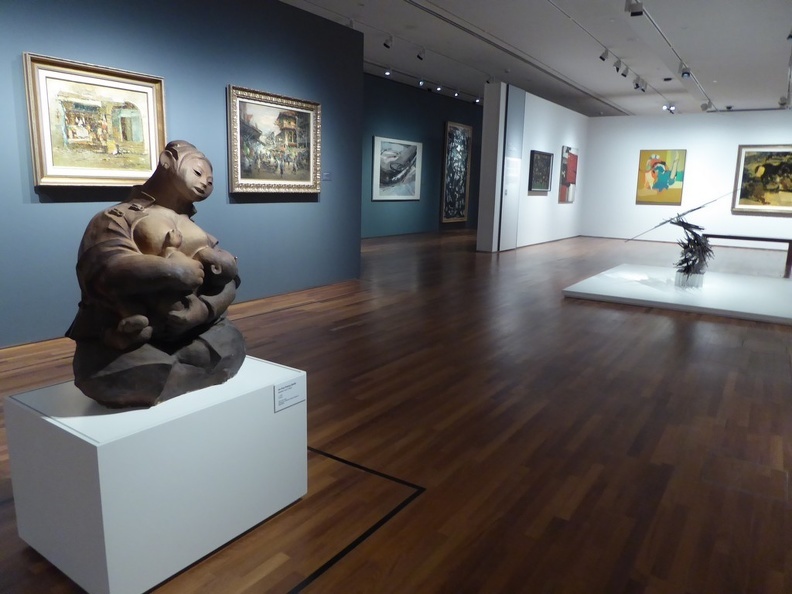 Photography without flash is allowed in the galleries and visitors with children have to be supervised by parents as many of the exhibits, particularly sculptures are often left in the open. 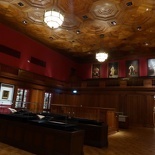 All galleries have elevator access and are wheelchair accessible. 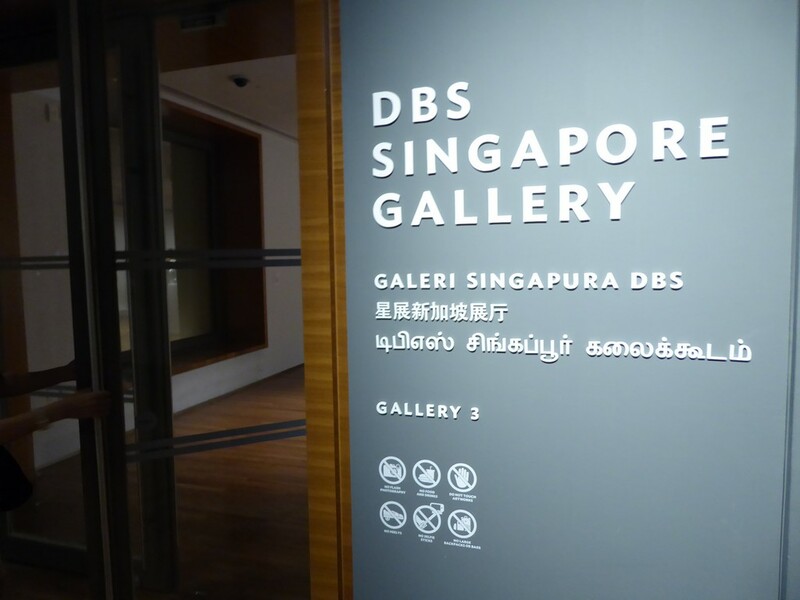 It is advisable to check the National gallery website (nationalgallery.sg) for a listing of current exhibitions before going. 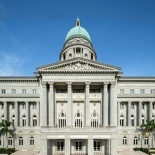 A visit to the national gallery is good for 2-3 hours tops, entry is free for Singaporean and Singapore Permanent residents. 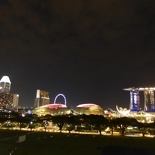 Entry will cost $20 for non-Singaporean. 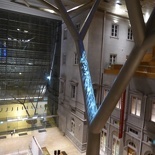 The galleries are open daily from 10-7pm, with extended hours on Friday and Saturday up to 10pm. 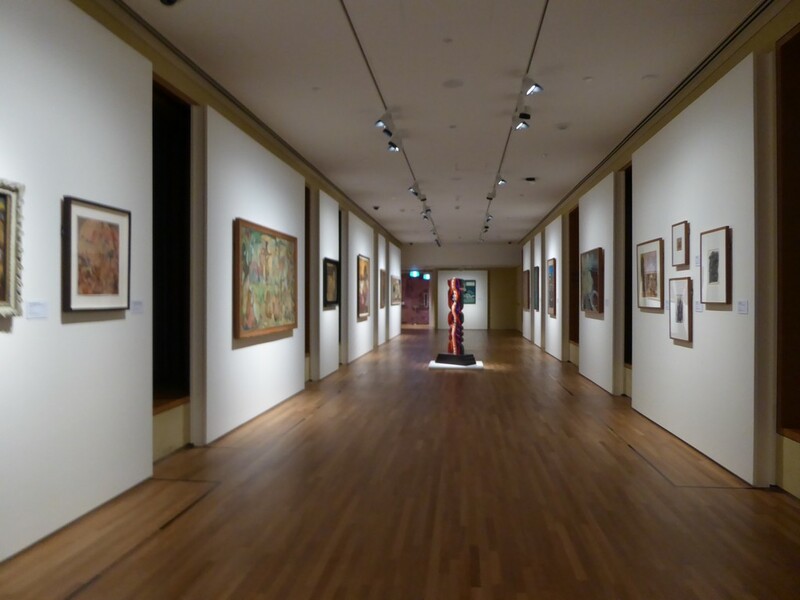 View more photos of the Singapore National Gallery here. 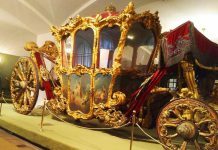 Previous articleLeshan giant Buddha, Chong Qing, China and attraction travel guide.